Provided you can live with certain aesthetic compromises, the G500s could offer you every bit as good an experience that you would get from the likes of laptops £100 more costly, such as the Samsung Ativ Book 9 Lite, which didn't actually perform as well as we expected. 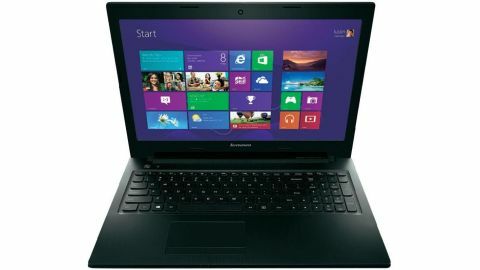 A few months ago we had a look at a budget 15.6-inch laptop from Lenovo, the G505, which offered basic thrills for £350. It was good, though inevitably lacking due to the inadequate performance on tap. Lenovo clearly likes producing unusual offerings to cater for all tastes, because it's at it again with the G500s. Effectively, it's the same laptop as before, though the main difference is that the G500 uses a Pentium processor instead of the AMD unit found in the G505. Despite its four cores, we found the G505 to be slightly lacking in performance due to its lowly 1.5GHz core speed. The Pentium found in the G500s, on the other hand, couldn't be more different - offering just the two cores, but with a markedly superior clock speed of 2.4GHz. The G500s also comes with double the RAM of the G505 - 8GB, that is - which should be plenty to keep it ahead of the game. Bear in mind, this is still meant to be an entry-level laptop, and so its main tasks are to be checking emails, surfing the net and working in various desktop applications, but with the added power that the G500s could be future proof for a good couple of years before the ravages of time take hold. The G500s is a touch more expensive than the G505, at £400, but is it really worth the extra outlay? Or, are you simply paying the extra for the superior badge? Lenovo isn't the only manufacturer still knocking out decent budget machines; we've seen good performances in the low-priced laptop camp from the likes of HP, with the Pavilion TouchSmart Sleekbook 15, and Acer knows a thing or two about offering more for less with its Aspire V5. Both these models utilise AMD processors, so it's a bit of a rarity for the G500s to be wearing the Intel badge.